I guess there are coupons for just about everything these days so why wouldn’t I be surprised to see our marketing partners in Penton Media releasing coupons for the Exchange 2010 Maestro training events that Paul Robichaux and I are running in San Diego, London (England), and Greenwich CT. Click on this link to view a video of me explaining why I think Maestro training is a good idea. And if you’re interested in signing up to attend one of our seminars, head over to the Facebook page for the events to reveal the codes and then go off to our Maestro site to get more information about what we’re doing. Now I shall head off to the splendidly named “The Experts Conference” (TEC) where I am keynoting next Monday morning. Click here to see the full agenda for the Exchange stream. Should be an interesting event as there are lots of great people lined up to attend. It will be interesting to see how TEC compares with TechEd (big, flabby, and too much marketing) and Connections (small, personable, but needing some extra voom). Expect a full report in due course. And if you’re at TEC, you can contact Paul, Brian Desmond, or myself for a different coupon code… it may not do much different, but it will at least come from one of the protagonists! I’ll be doing a signing of my Microsoft Exchange Server 2010 Inside Out book at 6pm on Tuesday. O’Reilly is one of the TEC sponsors and has provided 25 copies of my book for free distribution on a first-come, first-served basis. 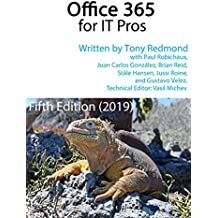 Other O’Reilly (or Microsoft Press) authors will be there too – so for example you could pick up a signed copy of Active Directory: Designing, Deploying, and Running Active Directory from Brian Desmond if you’re really fast. Other books that are available include Windows Server® 2008 Terminal Services Resource Kit by Christa Anderson and I think that Anil Desai will probably have MCTS (Exam 70-643): Configuring Windows Server 2008 Applications Infrastructure self paced training kit along for him to sign and give away. Finally, Dux Raymond Sy will be there to sign SharePoint 2010: Best Practices for Upgrading and Migrating. Quite a library! I’ll only be at the book signing (located at the foyer outside the Red Rock Ballrooms) for 15 minutes or so as I will have to go to the airport for my flight to London and then back to Dublin, so if you want a book please come along early! This entry was posted in Exchange, Technology and tagged Exchange 2010 Training, The Experts Conference. Bookmark the permalink.